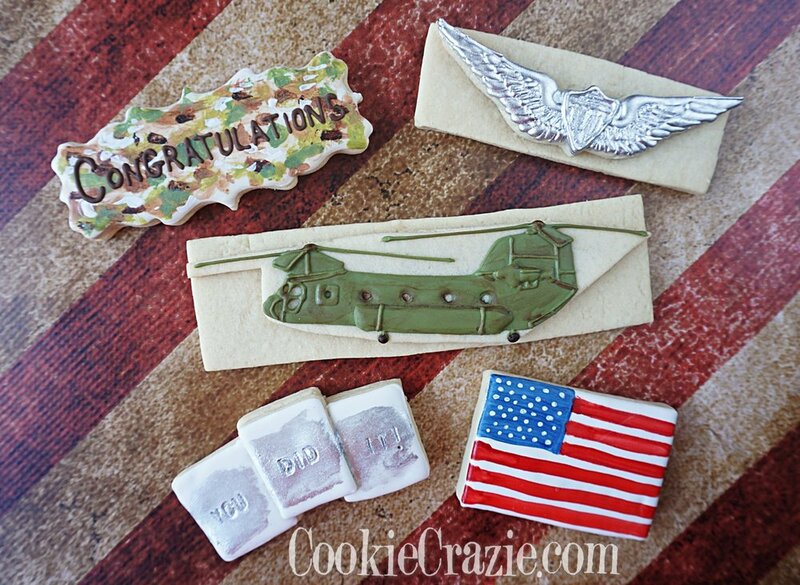 Shirt & Tie Cookies work well for a variety of special occasions. A friend asked for this theme to celebrate a milestone in her son's life. Several shapes can be used for this cookie. I used coat shaped cutter for the full long sleeved version (not able to link the cutter here). You could also use a plain rectangle cookie. Since the dress shirt is white, the easiest way to decorate these cookies is all in white glaze.....adding all the details including the tie in layers (with dry time in between). Once the glaze has dried overnight, use food color markers to color the ties.